Needs vs. wants: There are things that your kids need and things that your kids want. Try to focus on the “needs” first, and then if your budget warrants it move on to the “wants.” Or you could make your kid pay for their “wants” themselves as a good lesson in financial responsibility. Shop for deals: Don’t wait until the week before school starts to shop – start now. While many retailers offer back to school sales all month, you might be able to score deep discounts on clothes one week, school supplies the next and electronics the week after that. Browse the ads for sales and shop smart. 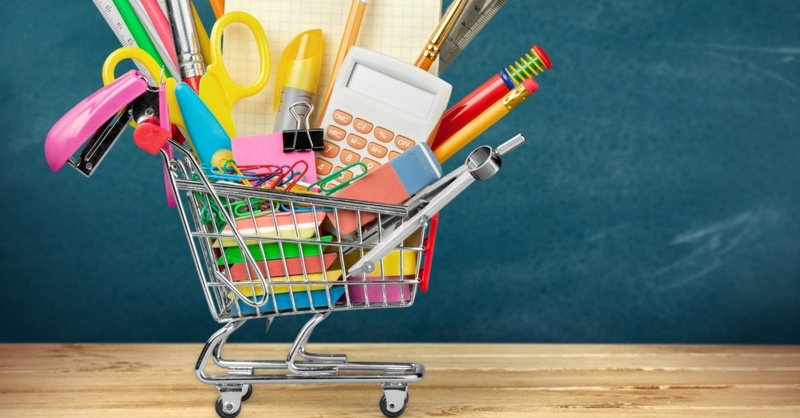 Beyond this, many states offer “tax-free” days each year, where certain items (including school supplies) are eligible for purchase minus any sales tax. This is another great way to save. Visit www.TaxAdmin.org for more information on this. Does your child need to buy their own textbooks? Try buying them used or rent them off Amazon.com to save. Try not to carry a credit card balance: Back to school shopping can amount to be a considerable expense. Using a credit card to pay for such a purchase – and then letting the balance carry – can potentially add as much as 50 percent to your back to school purchases. Remember, for the best credit score, you want to try to keep your credit utilization ratio at or below 30 percent. Between interest and the cost of back to school shopping, it would behoove you to pay off your card in full by the due date. Check for student discounts: If you’re doing more expensive back to school shopping, say like a laptop or tablet from a consumer electronics store, make sure you inquire about a student discount. Many offer student discounts of up to 10 percent. Discounts are also commonly offered on computer software.